This post is written by Carol Allerding, Director of Events and Sponsorship for Experience Columbus. 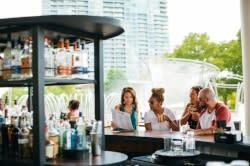 After being in the event industry for longer than I want to admit, I recently had the pleasure last week at the ISES member meeting of going to a unique networking venue. 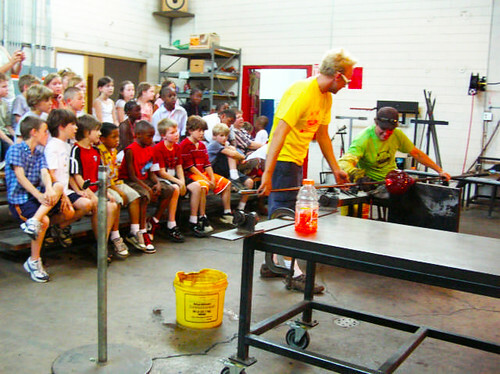 Glass Axis, a vibrant glass center dedicated to making and learning. What began as a traveling hot shop over 20 years ago has become a 10,000 square feet non-profit glass art studio, with over 100 members, a gallery, and a mission dedicated to teaching and education. The location in Grandview between 3rd and 5th Avenue is just west of Olentangy River Road. Glass Axis rests on Norton Avenue making it easy to get to during rush hour. The parking was free and convenient; there was a beautiful bright studio when you entered the building. 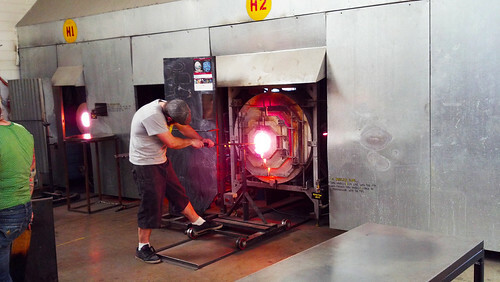 Then you are directed into the “creative” area where artisans were working glass. A small set of bleachers and chairs are set up so you can watch at your leisure and it is mesmerizing. Some of the protective gear make the craftsman look like spacemen, but protects them from the heat and fire. There is a workshop type space in the final room, where Cameron Mitchell Catering had set up food and a bar. It was delicious and a great spot to chat and network with the members of ISES. The night of our event the temperature was 80+, so it was a bit warm in the reception space. They had plenty of fans cooling you down in the work space, but you will want to remove your suit coat in the reception space to stay comfortable. The atmosphere was welcoming and fun. 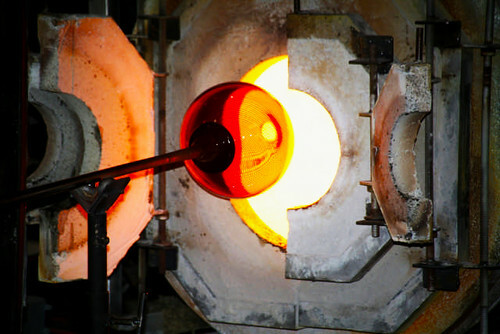 The individuals working with the glass did not seem to notice we were watching and chatting as they created beautiful objects of art. If you are looking for different kind of experience and a cool networking location, I recommend Glass Axis in Grandview. You won’t be disappointed.